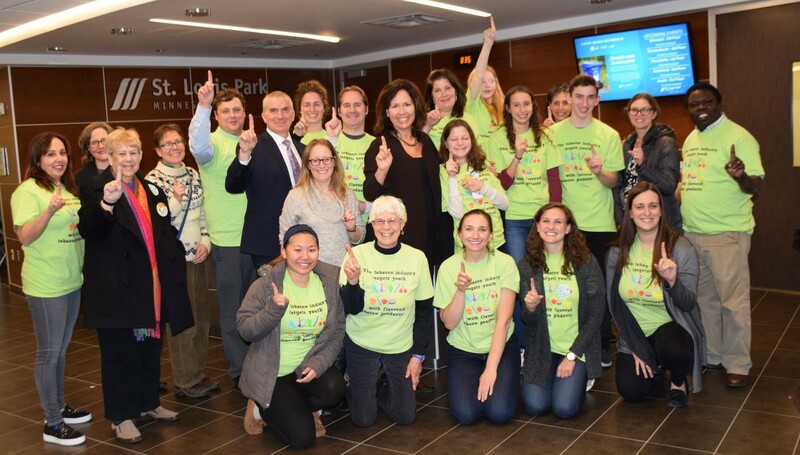 The Saint Louis Park City Council showed its dedication to protecting its youth on Dec. 4. The City Council voted unanimously to restrict the sale of flavored tobacco products within the city. This is the second major initiative the city has undertaken to reduce youth smoking. The city also raised the tobacco sale age to 21. The city is the fourth in Minnesota to restrict the sale of flavored tobacco, following, Minneapolis, Saint Paul and Shoreview. Earlier this year, Saint Louis Park was the second city to raise the sale age for tobacco products to 21. It is the first city in Minnesota to do both. In 2009, the Food and Drug Administration banned flavoring in cigarettes but didn’t extend this to other tobacco products. Saint Louis Park’s action closes that loophole. The tobacco industry has a long history of targeting young people with flavored tobacco. Matt Flory, president elect of the Minnesota Public Health Association and a resident, said he was proud of the council.